Christine Lagarde of the International Monetary Fund is one of many who believes that under the leadership of Prime Minister Narendra Modi, India has improved rapidly and is on the right track. International recognition is one aspect but what are the challenges in India becoming a powerhouse while China sees a recession. Ratnesh Dwivedi spoke to four experts. Third in the series is his interaction with GVL Narsimha Rao. 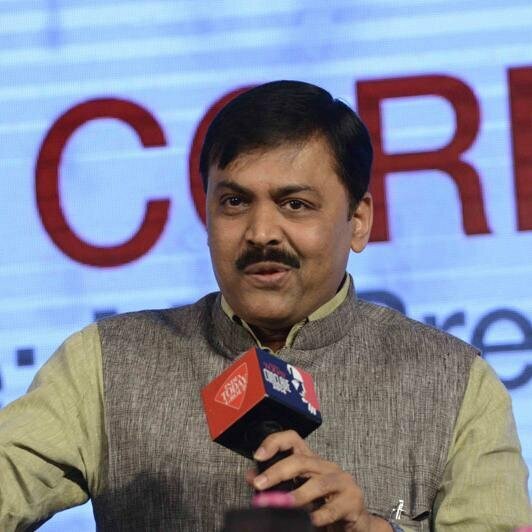 GVL Narsimha Rao is an Indian politician of the Bharatiya Janata Party and an author. He is the official bearer in the central committee of BJP, chaired by National President Amit Shah and currently serves as the spokesperson of the BJP. 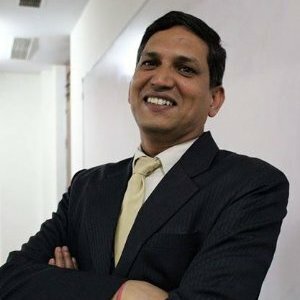 Ratnesh Dwivedi: What are the key achievements of the Modi Government in boosting the economy of India? GVL: Foremost we have been able to restore the confidence of both the Indian public and investors – national and international. That India’s story is very much alive and looks very bright compared to the gloom that existed two years ago before we came into power. I think there was less of a sense of direction at that time, a sense of pessimism. All that has given way to a very robust sense of optimism. Today India is recognised as a bright spot in the economy the world over and, at a time when FDI inflows are slipping all over the world, India has registered a very healthy and robust growth that shows the potential India has as investment destination. 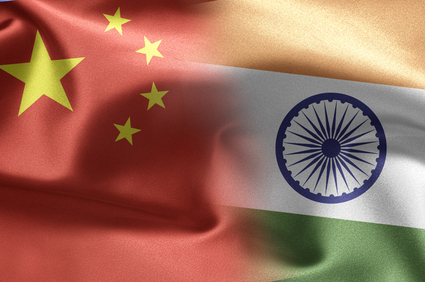 RD: China and India are close competitors in Asia, both growing very rapidly. Will India ever be able to achieve China’s growth rate? GVL: I don’t see any competition in that swing. 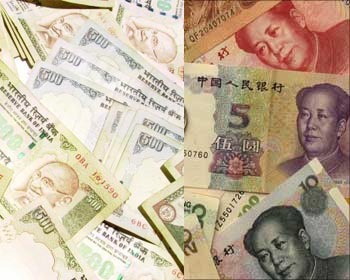 I think both are large economies of Asia. China is certainly bigger but India has accelerated its growth under Modi’s leadership. We have been and are likely to grow at a higher rate compared to China. India is really catching up with missed opportunities of the past and is fast catching up. RD: We all know the global economy is slow. China is also experiencing turbulent times as far as economic growth is concerned. What model India is adopting or can adopt for comprehensive growth? 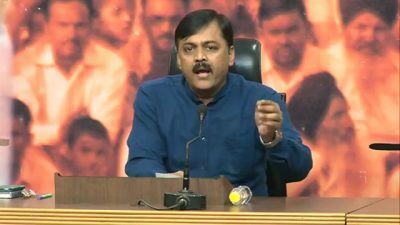 GVL: I think that Prime Minister Modi’s economic model believes that you can only achieve growth if you have participation of the people and the inclusion of a large section of society. India is the world’s second largest populous country. Once you have the participation of all strata of society, I think the economy will certainly get a big boost. I think the kind of focus this government has like near 100% financial inclusion in country. Everyone is covered by the formal banking sector. The government has given access to banks, financial institutions and financial credits, on the other hand you have Mudra Yojna where 100% assitance is given to set up your enterprises. More and more people are coming to the economic fold. I think the kind of growth we are going to witness is going to be phenomenal. An unorganized sector, the personal sector is actually pushing the Indian economy way beyond. That will ensure achieving a double digit growth in the next two years even when the world recession is there. Larger involvement of people in economic activities will really push the Indian economy. RD: There are certain sectors like IT, Agriculture, product manufacturing, Rural developments where India is competing with China. Can you shed any light on these sectors as far as economic growth is concerned? GVL: I don’t think there is any competition with China per se. India itself has so much potential both domestic and abroad and is certainly catching up from the past economy. A large part of agriculture in India is rainfall dependent which has really put constraints on growth achieved in this sector and this government has come up with the Prime Minister’s irrigation program where nearly 29 million hectares of land are going to be brought in this scheme. There is a lot of focus being led on water conservation, irrigation, etc. It will take some time. If the Monsoon remains good and doesn’t be a spoilsport then we are going to achieve a reasonable growth in this sector. As far as other sectors are concerned I think that manufacturing is certainly giving a big boost. India has always been a leader in the IT sector and will continue to dominate the IT stage. Governmental attention is to unleash the potential of every sector of the economy and ensure participation of every segment of society. The government is playing a very proactive role ending all the hardships and hurdles in order that people are able to exploit their potential. By this India is going to take a forward march in all sectors. I would really not agree with the premise that we are competing with China. There is so much potential that exists for each country to grow and India being a smaller economy compared to China is getting its due under the brave leadership of the Prime Minister. 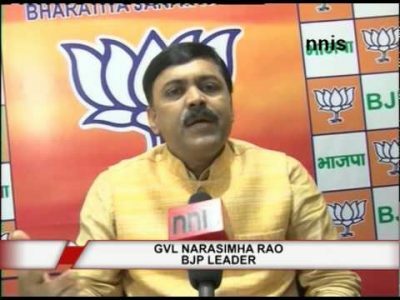 GVL Narsimha Rao is a national spokesperson for the Bharatiya Janata Party, Pollster, author and first person to publicly predict Narendra Modi as PM way back in 2011.